In the preschool years and prior, the topic of sharing is a hot one. Just walk into any playground in America and a tussle over a toy—desired by more than one child at the same time—is sure to ensue. How this conflict is handled by parents, however, can go a variety of different ways. For many parents, forcing their child to give up his toy to another kid seems to be the right thing to do. 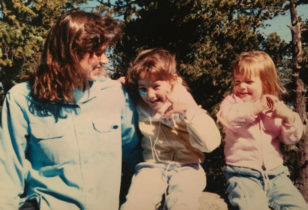 But, according to Heather Shumaker, a mother of two and author of It’s OK Not To Share…And Other Renegade Rules For Raising Competent And Compassionate Kids, there’s a better way to go about this. 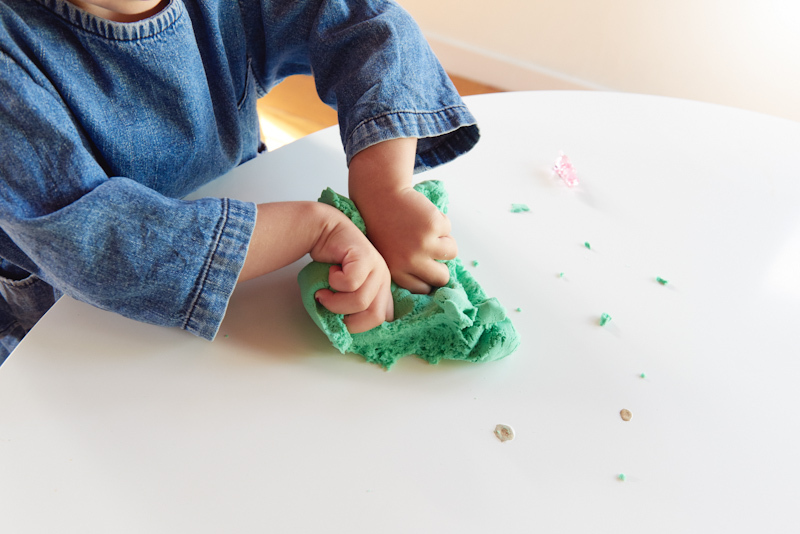 Shumaker, a long-time advocate of free, unstructured play, calls her preferred method “child-directed turn-taking.” Below, she explains how it works. What Child-Directed Turn-Taking Looks Like: In essence, child-directed turn-taking is “about waiting until a child is all done with a toy,” says Shumaker. It’s about letting a child fully process what he or she is doing and become engrossed in it, without interruption. “When a child is engaged in imaginative play or her own exploration of the world, that’s the highest form of learning that she can be doing at that moment, and she’s doing it. So, interrupting her is not only disrespectful, it can interrupt learning,” explains Shumaker. Once the child is fully done with her toy or activity—be it 3 minutes or 3 hours, the time should be internally imposed by the child, not an adult or timer—a parent can then remind the child that another kid is waiting for the object, and let the child give it up on his own accord. Of course, there might be exceptions, like nap time or meal time, when interrupting a child is essential. Playdates, Playgrounds, And Public Spaces: Before you go into a situation where your child will be challenged to share, prep your kid. “If a child brings something to preschool or the playground, or some public space, they need to be aware that other kids may be interested in the object. And if they put it down, no one will know that it’s theirs,” says Shumaker. “But someone will know if they put it in their cubby or on their hook or give it to their dad to hold. So, if the child cares about the object, they should put it with a safe person or safe place. The other kids will learn that if it’s in someone’s cubby, then that means they can’t touch that. They can only touch things in their own cubby.” Likewise with playdates. If another child is coming into your child’s space, prep your child beforehand, stashing any items that they would be uncomfortable sharing in a special area, and vetting toys that your child deems on-limits to all in a common area. Sometimes, instead of being an object your child wants to claim, it’s a space—like the area at the top of a public slide. Shumaker suggests explaining to your child beforehand that in some areas, like parks, it’s important to take “fast turns” because lots of children will be coming through that space. Alternatively, you can try to carve out a private corner for them within a public space that feels like something they can completely possess. 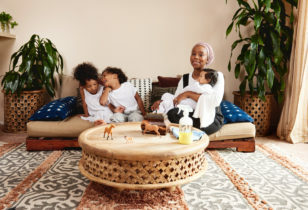 For more articles on themes like this, check out Mother’s pieces on Play-Based Parenting, Play-Based Education, Teaching Empathy To Children, and How “Reframing” Results In Happier Parents (And Kids). For more on Shumaker’s philosophy on sharing and more, check out It’s OK Not To Share…And Other Renegade Rules For Raising Competent And Compassionate Kids.